The news of the 1950s is dominated by the growing conflict between Communism and Capitalism. The Cold War became warm almost from the dawn of the decade. 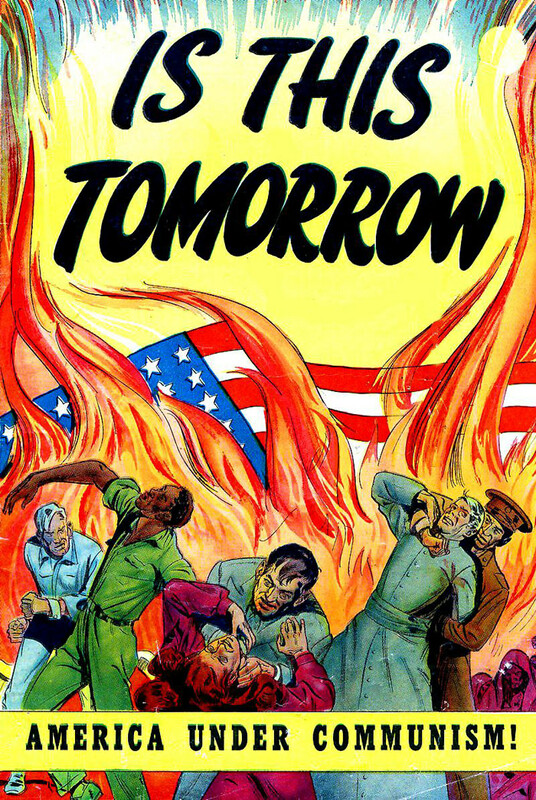 Politically, the decade is dominated by news of the "Red Scare" as leaders postured so that each would appear as the most ardent foe of Communism and communist infiltration of the USA. In popular culture, the 1950s is the decade of Rock and Roll as well as the explosion of Television, all of which built on the prosperity of a booming post-War economy. The US consumer has countless new things to spend his money on, and plenty of money to spend. However, the joys of conspicuous consumption are dampened by fears of the Atomic Bomb. Early in our 1950s News Collection, CBS takes us on a visit to Atomic City USA, better known as Oak Ridge, TN, where the town's main industry centers around researching and building components for The Bomb. On April 7, 1950, Edward R. Murrow investigates the alleged appearance flying saucers in American skies. 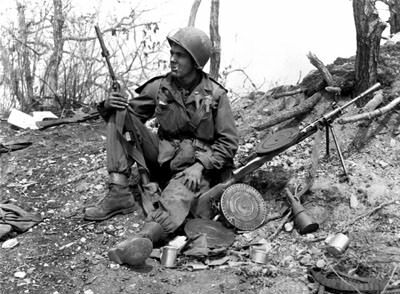 At the end of the Second World War, the Korean Peninsula had been divided along the 38th parallel with Americans occupying the south and the Soviet Union the North. The super powers remained mostly hands-off during the occupation, and the country's division devolved into factional disputes. On June 25, 1950, communist forces from North Korea invaded the south. United Nations forces, lead by the US, came to the defense of the south, albeit in a limited fashion due to fears that the conflict would escalate into World War Three. United Nations Forces and the Communists traded successes and failures during the remaining months of 1950 and into the next year. General Douglas MacArthur, already the commander of US Forces in the Far East was selected as Commander in Chief of the United Nations Command. MacArthur chafed under the political restrictions which prevented him from attacking the North and their Communist sponsors as aggressively as he thought necessary, and said so in a letter which was read on the floor of the House of Representatives. President Truman took this as an act of insubordination and ordered MacArthur relieved command on April 10, 1951. 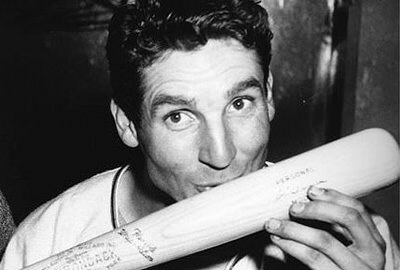 On October 3, 1951, Bobby Thomson hits "the shot heard round the world" in the bottom of the 9th inning to win the National League Pennant for the NY Giants. In beating the Brooklyn Dodgers, the Giants overcame a 14 game deficit to win the pennant. Jack Benny celebrates his 20th year in radio on November 9. President Truman's approval ratings dropped to 22% in the aftermath of Macarthur's dismissal, and he eventually chose not to seek re-election in 1952. 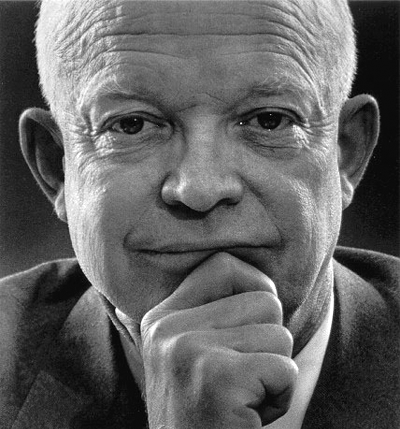 The Republican nomination went to Dwight Eisenhower who ran with California Senator Richard Nixon. The Republican ticket won with a decisive victory. Just before leaving office, President Truman announces that the United States has developed the hydrogen bomb. 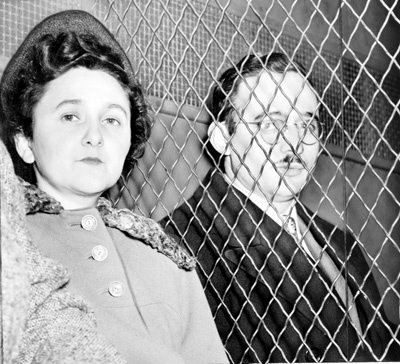 On February 11, President Eisenhower denies clemency for the "atomic spies", Ethel and Julius Rosenberg. On March 5, Soviet Premier Joseph Stalin succumbs to a stroke suffered after an all night dinner. The Rosenbergs are executed in the electric chair at Sing Sing Prison at sundown, June 19, 1953. An Armistice Agreement signed at Panmunjom on July 27, 1953, bringing an end to fighting on the Korean Peninsula. The Army-McCarthy hearings ran from April through June 1954. Senator Joseph McCarthy had come into the national spotlight in 1950 by claiming that 205 employees of the State Department were members of the Communist Party. In 1953, McCarthy began investigating supposed Communist infiltration in the Army Signal Corp at Fort Monmouth. The hearings were televised 'gavel to gavel' on ABC and the Dumont networks. However, Senator McCarthy's career and reputation had already been irreparably damaged by Edward R. Murrow's commentary on See It Now, the TV version of CBS's Hear It Now. Just a year after the armistice ending the Korean Conflict, there are rumblings of the possible need for United Nations and American intervention in Indochina. Secretary of State John Foster Dulles accuses Communist China of training Viet Minh guerrillas at the end of April. The Geneva Conference of 1954 calls for free elections to the establishment of a government for all of Vietnam, but the end of the first Indochina War results in a Communist North Vietnam and Republic of Vietnam in the South, along with the Kingdom of Cambodia and the Kingdom of Laos victorious over the French. On September 3, 1954, after 2,956 episodes, The Lone Ranger hangs up his spurs with his last radio broadcast. 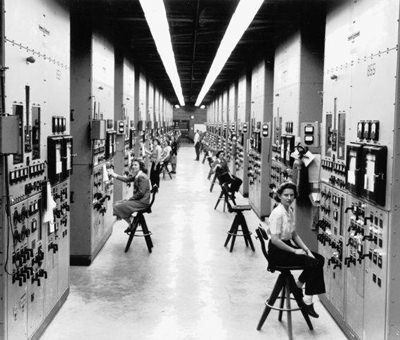 On July 18, 1955, nuclear power for home consumption goes on sale for the first time in Arco, Idaho. On the same day, Disneyland opens in Anaheim, CA. Gabriel Heater reports that Detroit missed the goal of 8 million cars in 1955 by just 60,000 units. Elvis Presley releases his first Gold Album on March 13, 1956. President Eisenhower accepts his party's nomination to run for re-election on August 23. Orson Welles narrates Tomorrow, a Civil Defense tale of two cities during an atomic attack. Humphrey Bogart passes away on January 14, 1957, after a long battle with cancer. On January 18, 1957, Edward R. Murrow reports a successful successful non-stop flight around the world by three B-52Bs from the 93rd Heavy Bombardment Group. The flight needed several in-flight refuelings and demonstrated the global reach of the Stratofortress. September 4, 1957, is "E Day", the day that Ford Motor Company rolls out the Edsel. 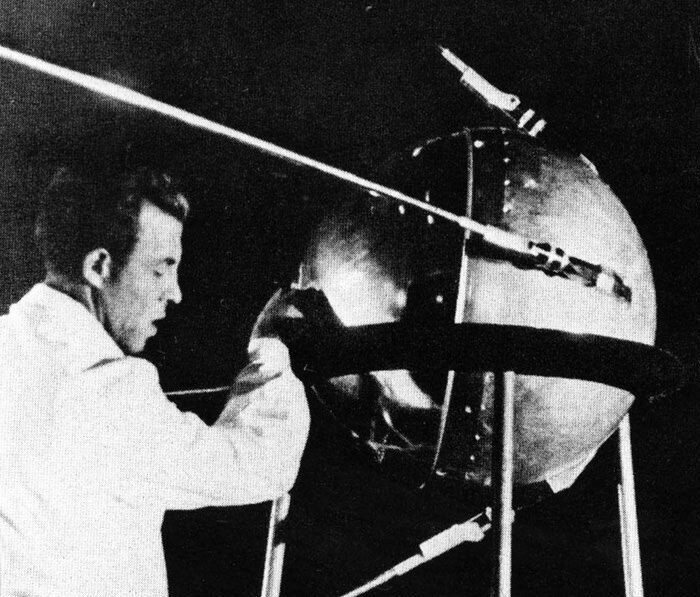 On October 4, the Soviet Union launches Sputnik and begins the Space Race. Be the first to comment on "News Recordings 1950 1959"